At a Smashbox event late last year, I was introduced to several seriously exciting products from the brand that I had yet to try. 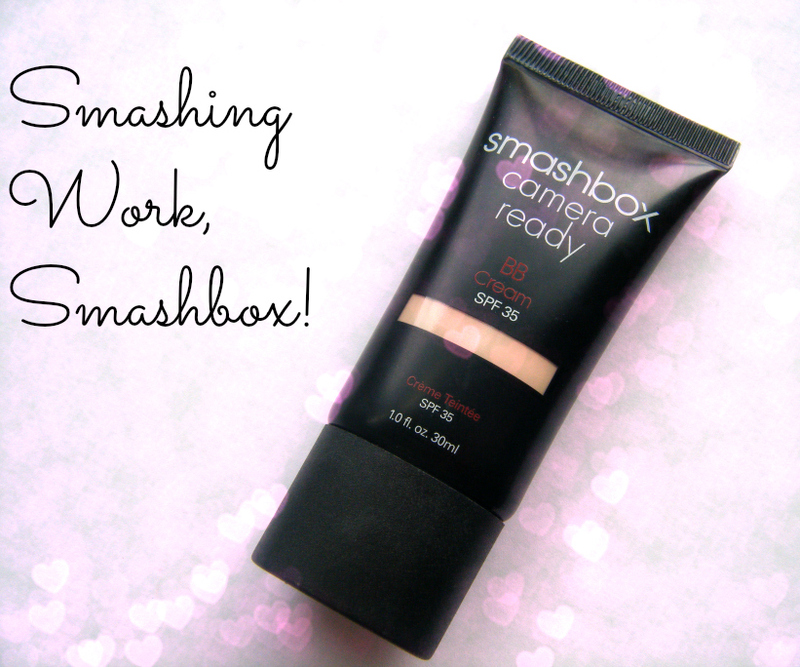 Being a long time fan of their Photo Finish Primer, the Smashbox Camera Ready BB Cream was right up top of that list. Primes: The creamy consistency smoothes skin, can be worn alone but also acts as a perfect canvas for foundation. Perfects: The range of tints of this BB is matched to your skin tone to even out blemishes and dark areas. Hydrates: Using anti-aging peptides, usage for 4 weeks has been proven to increase skin moisture. Protects: Boasting one of the highest SPFs for a BB Cream, (35), Skin is shielded from damaging UV rays. Controls: The oil free formula minimises shine and even with the additional SPF doesn’t leave a white cast. I’ve been using Smashbox BB cream consistently for the past month or so, choosing to reach for it over heavier foundations even though we’re in the depths of winter. Just a pea sized amount is enough to give me complete coverage (once I’m not rocking any blemishes) but still its breathable and light on my skin. Because I’ve become so accustomed to lashing this on, I’ve even been using it for evenings out. Buffing it on over my Photo Finish Primer and topping it with Smashbox Halo Hydrating Perfecting Powder. Just a dab or two of my favourite Collection 2000 Lasting Perfection Concealer and my fizzog is perfectly prepped for the rest of my schlap. I’ve had no oxidisation issues, as I have with other BBs and certainly haven’t had the pore clogging disaster that plagued me with Garnier’s original BB offering. It’s an all round win from me. Smashbox Camera Ready BB Cream is priced at €40 and available from all Smashbox counters and online from Petals.ie. Have you given it a blast yet?